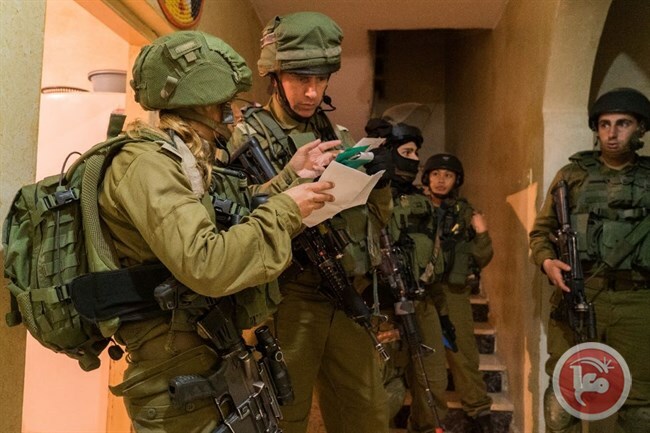 RAMALLAH (Ma’an) — Israeli forces detained at least 24 Palestinians during predawn raids across the occupied territory on Sunday, including two Palestinian parliamentarians, according to Palestinian and Israeli sources. Israeli forces carry out detention raids across the occupied Palestinian territory on a near-nightly basis, with the UN recording an average of 95 weekly raids in the West Bank in 2016, and 73 weekly raids on average thus far in 2017. According to prisoners’ rights group Addameer, 6,500 Palestinians were held in Israeli prisons as of January, which included four members of the Palestinian Legislative Council (PLC). Meanwhile, some 420 Palestinians were detained throughout the month of February alone — including 70 minors and 22 women and girls. Israeli forces detained two Palestinian lawmakers during raids in the southern occupied West Bank city of Bethlehem, according to a statement published by the Palestinian Prisoner’s Society (PPS). The statement identified the two as Khalid Tafish and Anwar Zboun, who are both deputies of the Change and Reform bloc in the PLC. Israeli forces also detained Hassan al-Wardiyan and Ghassan Hirmas in Bethlehem raids, according to PPS. Also in the south, PPS said that Israeli forces detained Munjid Khalid Ashour and Sabri Ibrahim Awwad from the Hebron district. An Israeli army spokesperson only confirmed four detentions in Bethlehem, claiming they were all Hamas operatives, and one detention in Hebron. Israeli forces surrounded a house where al-Araj was hiding, fired a rocket into the building, and eventually shot him dead with several bullets at close range after al-Araj ran out of ammunition in the two-hour-long exchange of fire. Israeli police spokesperson Luba al Samri also said that Israeli police, in collaboration with the Israeli army, raided and searched a home in the Salfit-area village of Bani Hassan, detaining one Palestinian and seizing a rifle. At least eight Palestinians were also detained during predawn raids in occupied East Jerusalem. Two Palestinians were detained during a predawn raid in the northern occupied West Bank district of Nablus, identified by PPS as Mumin Abd al-Munim Jar Allah and Muath Muhammad Haboub. In the northern Qalqiliya district, Israeli forces detained 20-year-old Zayid Ali Abd al-Hafith Adwan, 24-year-old Abd al-Rahim Mahmoud Muhammad Abu Suleiman, 28-year-old Alaa Samir Othman Hilu, and 27-year-old Abdullah Hussam Yousif Hawari, according to PPS. An Israeli army spokesperson confirmed that four Palestinians were detained in the Qalqiliya district, three in the village of Azzun and one alleged Hamas operative in Qalqiliya city. Israeli forces also detained three Palestinians from the northernmost West Bank district of Jenin, identified by PPS as 21-year-old Hatim Abu Ali, 23-year-old Hamza Nael Ammar, and former prisoner Husni Sahwahna. An Israeli army spokesperson confirmed the three Jenin area detentions, saying two alleged Hamas operatives were detained from Jenin refugee camp and one Palestinians was detained in the village of Silat al-Harithiya in the northern outskirts of the West Bank. Israeli courts fined Palestinian minors imprisoned in the Ofer detention centre a total of 57,000 shekels ($15,420) in February alone, the Palestinian Committee of Prisoners’ Affairs said yesterday, adding that at least 49 had been detained in February. Committee lawyer Luay Akka said that of at least 49 Palestinian minors who were imprisoned in February and taken to Ofer, 27 of them were detained during home raids, nine in the streets, five after being summoned for interrogation, four at checkpoints and four in Israel for not having permits. He added that the sentences issued against 25 minors during the month ranged between one and 24 months in prison, with at least one teen – 15 year-old Ahmad Hanatsha – being sentenced to administrative detention without trial or charges. Palestinian minors detained in Ofer said that they were being held in poor conditions, and lacked access to necessities such as clothing, bed sheets and towels. In January, the committee reported the detention of at least 63 minors, who were collectively fined some 52,000 shekels ($14,000). Palestinian human rights institutions reveled, in a statement on Monday that Israeli Occupation Forces (IOF) arrested last February 498 Palestinians including 108 minors, 19 women and a journalist man. In addition to the martyrdom of the Palestinian prisoner Mohammad al-Jallad who died after being shot by Israeli soldiers. The statement pointed out that 161 of the arrested were from Occupied Jerusalem, 90 from al-Khalil, 55 from Bethlehem, 43 from Ramallah and al-Bireh, 39 from Nablus, 32 from Qalqilya, 25 from Jenin, 22 from Tulkarem, 10 from Tubas, 9 from Gaza Strip, 7 from Jericho and 5 from Salfit. Israeli Occupation Authority (IOA) issued 99 orders of the illegal administrative detention with no charge or trial including 25 new orders, the statement added. According to the report, which was issued by four human rights institutions, the number of Palestinian detainees in Israeli jails jumped to 7000 including 61 female captives with 12 minors. The number of prisoners of children reached 300; while the number administrative captives was 516 and the number of journalist detainees jumped to 23. 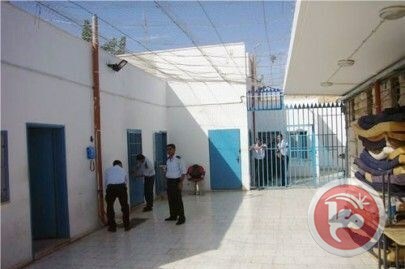 The report warned of the serious conditions inside Israeli prisons due to punitive measures. It called for exerting more efforts by Arab and international organizations in order to pressure for halting Israeli offensive practices against Palestinian prisoners and liberating them from Israeli jails. Seven Syrian torture survivors, two lawyers and a human rights group have filed a criminal complaint in Germany against officials of Bashar al-Assad’s secret service. The complaint names and seeks international arrest warrants against six high-level officials of the Assad regime’s Military Intelligence Service, in whose Damascus prisons the claimants say they were tortured or witnessed torture. According to witness testimony, prisoners were beaten with pipes, sticks and meat hooks on chains, given electric shocks, burnt with cleaning chemicals and stabbed with pencils, the broken-off tips left inside their flesh. “We cannot just look on at the horror of Syria,” said Wolfgang Kaleck, head of the Berlin-based non-profit legal organization that launched the case, the European Center for Constitutional and Human Rights (ECCHR). “We have to start describing what is happening in Syria with words and legal categories,” Kaleck said in a statement. The case accuses the Assad regime of having carried out “systematic and widespread torture targeting opponents and activists… for several decades”. Germany’s federal prosecution service welcomed the complaint, with a spokeswoman saying it may provide further evidence to support its own ongoing investigation into Syrian war crimes launched in 2011. The new complaint alleges crimes against humanity and war crimes committed in three Damascus prisons between October 2011 and July 2015, based on the testimonies of 12 witnesses, seven of whom are complainants. The complaint was launched under the principle of universal jurisdiction, which allows the German judiciary to become active in cases where neither the victims nor the perpetrators are German citizens, said the ECCHR. A Palestinian security official hinted on Sunday that Palestinian President Mahmoud Abbas is being plotted against. “The holding of four meetings in the region’s capitals in the past four months proves that Palestinian legitimacy is targeted,” Adnan Damiri said, according to the official Palestinian news agency WAFA. “The national cause is subjected to a conspiracy against Palestinian legitimacy, especially that Palestinian Liberation Organisation [PLO], the legitimate and only representative of the Palestinian people,” he added. Besides being the Palestinian president, Abbas also heads the PLO and is a member of the Fatah movement. Read: Is the PLO still the sole, legitimate representative of the Palestinians? He called for strengthening joint work between Palestinian society’s political and social segments, as well as civil society and security bodies, in order to protect the nation from divisions. Damiri stressed the importance of Palestinian unity in the face of the challenges that emanate from occupation and the Israeli settler activity, in addition to challenges posed by outlaws. “Security forces will pursue the outlaws … wherever they are to refer them to the judiciary, which ultimately makes decisions on the accusations levelled against them,” the Palestinian official said, adding that all Palestinians are equal before the law. For Nazi Germany to control occupied France during World War II, it used some Frenchmen and formed a government of dummies, also called the Vichy government, in an attempt to legalize its presence. This is what the regime in Damascus is doing. When the Syrian regime realized that the opposition had more legitimacy than it did, it resorted to a trick of inventing groups that claim to belong to the opposition. Then, the regime allowed these groups to work in Damascus and sent them to capitals like Tehran and Moscow to negotiate on behalf of the opposition. For over three years, no one believed this charade called Moscow’s and Cairo’s platform. It is only an accessory to the Syrian regime. With the help of Russia, the Syrian regime insisted to impose these fake groups in the Geneva negotiations. After the international envoy had agreed to include them, Moscow now calls for their integration within the actual opposition delegation. When the real opposition refused, they were accused of sabotaging the negotiations. After the inclusion of Russia and Egypt’s platforms, Geneva negotiations became the worst unprecedented political charade in history. Even Vichy’s fake government had more integrity than them. There is no point for the opposition, High Negotiations Committee, to proceed after they had deprived it from everything, even the right to represent itself as an opposition. Everything that represents the regime is fake. The army isn’t its army and neither is the opposition, which it insists on negotiating with. Assad’s regime is known for fabricating slogans about Arabism, nationalism and democracy. It is also known for forging the elections and creating organizations like Fatah al-Sham instead of the Palestinian resistance in Lebanon and Islamic Jihad in Gaza, Palestine. When the regime assassinated former Lebanese prime minister Rafik al-Hariri in 2005, it invented an organization named “Jund al-Sham” and produced a video where a man named Abu Adas claimed he assassinated Hariri. The whole world realized later on that this was a fake story. International investigations revealed the actual names of criminals involved with the regime in Damascus. The regime did more than that during the Iraqi war after the US invasion. In collaboration with Iran, it established organizations that claimed to be Islamic and Baathist. These opposing platforms are just fronts that heed to the requests of the regime and defend it. As long as Russia and Iran are supporting these Moscow and Cairo groups, it is better to sign the deal in Tehran and get over with this charade. Israeli army vehicles launched on Monday a limited incursion east of Deir al-Balah city in the central Gaza Strip. Local sources said that 4 Israeli bulldozers raided the area and started leveling Palestinian lands there amid intensive overflight by Israeli drones. Israeli army vehicles deliberately launch incursions every now and then into the border areas north and east of the Gaza Strip and prevent Gazan farmers from approaching them. 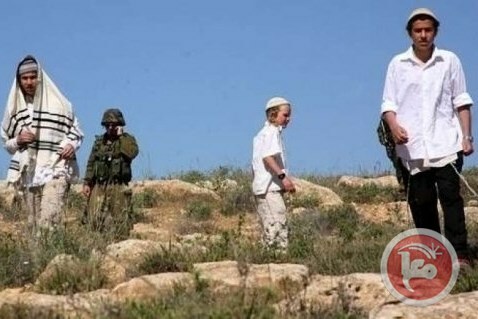 NABLUS (Ma’an) — Israeli settlers assaulted and injured a Palestinian woman who was working on her agricultural lands in the northern occupied West Bank on Monday, Palestinian and Israeli sources said. Ghassan Daghlas, a Palestinian official who monitors settlement activity in the northern West Bank, told Ma’an that more than 20 Israeli settlers from the illegal settlement outpost of Havat Gilad attacked Palestinian farmers working in their lands in the nearby village of Faraata in the Qalqiliya district. Daghlas said that the settlers attacked the farmers despite the fact that the Palestinians had coordinated with Israeli officials in order to access their lands in the area. He added that Israeli settlers destroyed an agricultural tractor owned by Abdullah Shanaa, causing clashes to erupt, during which 55-year-old Mariam al-Salman suffered from bruises on her upper body after settlers threw rocks at her. An Israeli army spokesperson told Ma’an that Israeli forces were “alerted to a dispute” in the area and “dispersed” those involved in conjunction with Israeli security guards from Havat Gilad. The spokesperson said they were not aware of anyone being injured in the assault, nor of anyone being detained or investigated. While no Israelis seemed to have been detained in this incident for having thrown stones at Palestinians, Palestinians risk prison sentences for up to 20 years for throwing stones at Israelis. OCHA reported 16 instances of settler-related violence as of Feb. 20, seven of whom were attacks on Palestinian individuals. This is not a precedent. It is a repeat of a recurring scenario that often follows Israel’s military plunders. When such reports are issued, Israelis sort out their differences in fierce parliamentary and media battles. While Israelis begin to examine their failures, demanding accountability from their government, western mainstream media finds the perfect opportunity to whitewash its own record of failing to criticise Israel’s military onslaught at the time. But war itself is a staple for Israel. Hard-hitting Israeli journalist Gideon Levy’s reaction to the comptroller’s report says it best. He argued that the report is almost a plagiarised copy of the “Winograd Commission Report” which followed the 2006 Second Lebanon War. No matter the outcome, Israel will boast of its military superiority, unmatched intelligence, transparent democracy and moral ascendancy; the US, Britain, France and other Europeans will enthusiastically agree, issuing Israel another blank cheque to “defend itself” by any means. RAMALLAH (Ma’an) — A Palestinian prisoner held by the Palestinian Authority (PA) died on Sunday, reportedly from health complications after two days on hunger strike.